The Dantes Family was so busy last October 31st. Before The Dantes Family’s Halloween Party they first went to Cavite. they went to Cavite to join the birthday celebration of Marian’s step-dad. A video of Zia singing ‘A Million Dreams’ from the movie The Greatest Showman was uploaded on Social Media. Zia was was on a stage while her Mama and Daddy cheered on her. She was shy at first but after receiving encouragements she sang her heart out. Here’s the adorable video. The Dantes family Dingdong, Marian and Zia’s Halloween costume is a win-win! 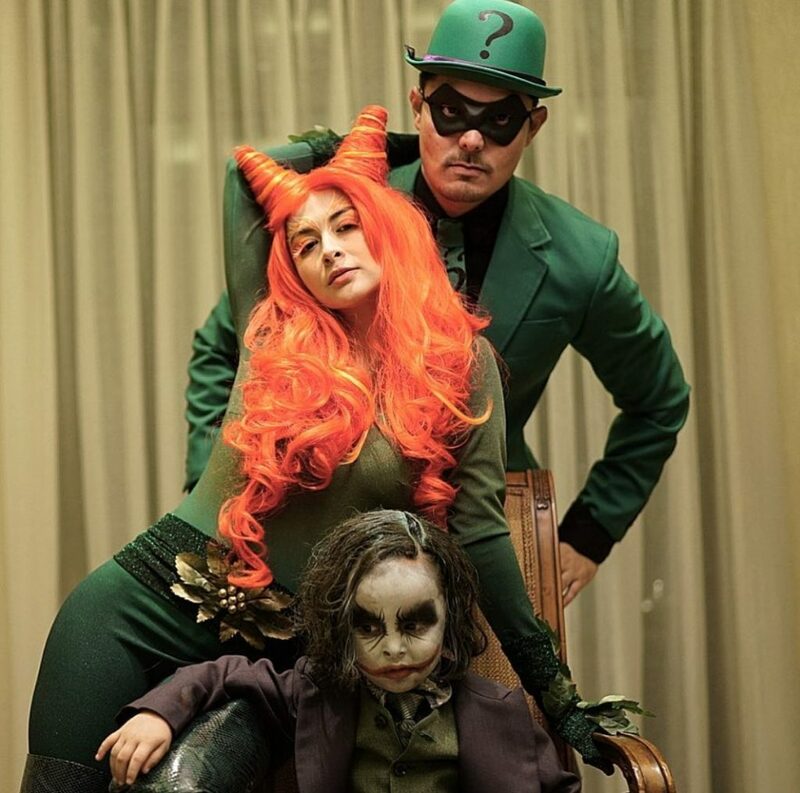 The Dantes family’s nailed their explosive choice of costumes this year as Batman’s rivals The Riddler, Poison Ivy and Joker. Aside from the coloful attires of his parents, Zia rock it big time being so in character of Joker in all Marian and Dingdong IG posts. Of course, many celebrity friends of the couple fascinate and adore Zia. Marian, too, looks great in her costume, she doesnt look pregnant at all because of her long wig covering parts of her belly.